Much as I’d quite like one, we don’t have a family crest. Perhaps I should craft one… but those other folk do; the Norfolk Roshers. Yes, I’m one of the Suffolk Roshers, and you’d think in four hundred years or so of family tree we’d find a link but no… not yet. 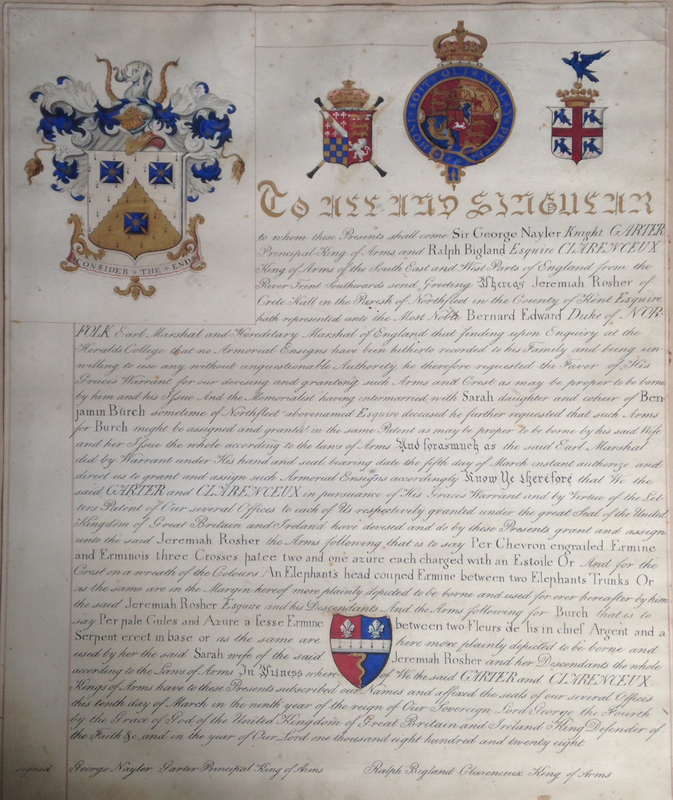 Jeremiah Rosher 1765-1848, of Crete Hall in Northfleet, petitioned the King of Arms to authorise a family coat of arms in 1828, as well as one for his wife’s family, Burch. I recently came into the gift of a photograph of the document (or perhaps a copy thereof, as it’s not sealed).